Is blue the true color of sapphire considering there are a variety of shades of sapphire gemstones? As you likely know, the most common and popular color of sapphire is royal blue. 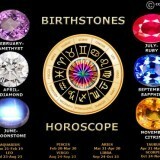 However, these precious gemstones span the rainbow of colors. Sapphire is the birthstone for September. 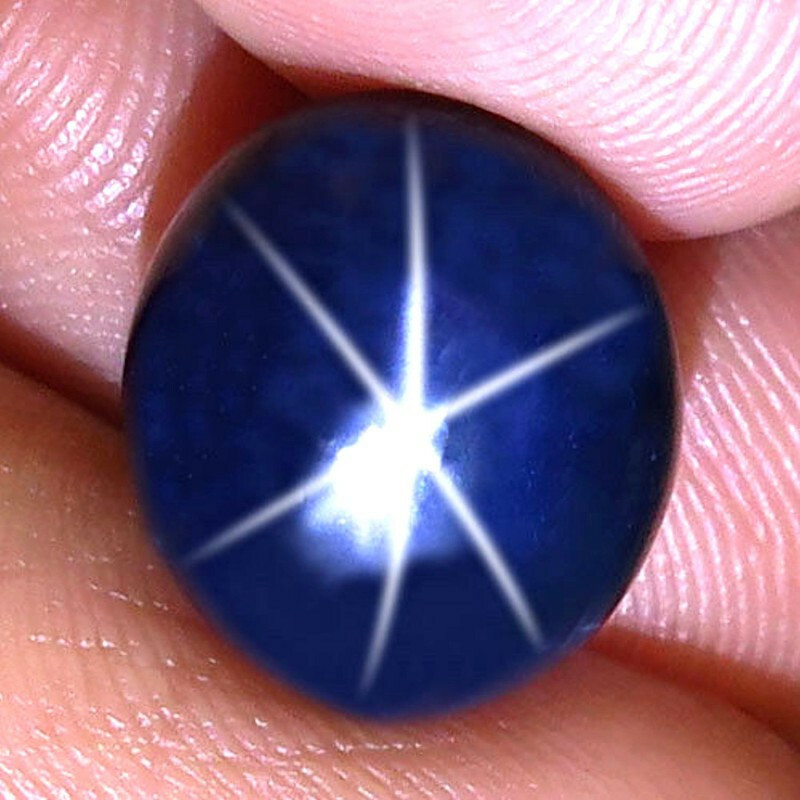 While libras and virgos might remain devoted to sapphire blue, there are many other colors of sapphire gemstones. 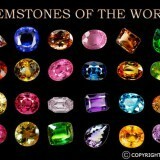 In fact, there are sapphires in every color of the spectrum excluding red. A red sapphire might catch your eye, but it’ll actually be a ruby. 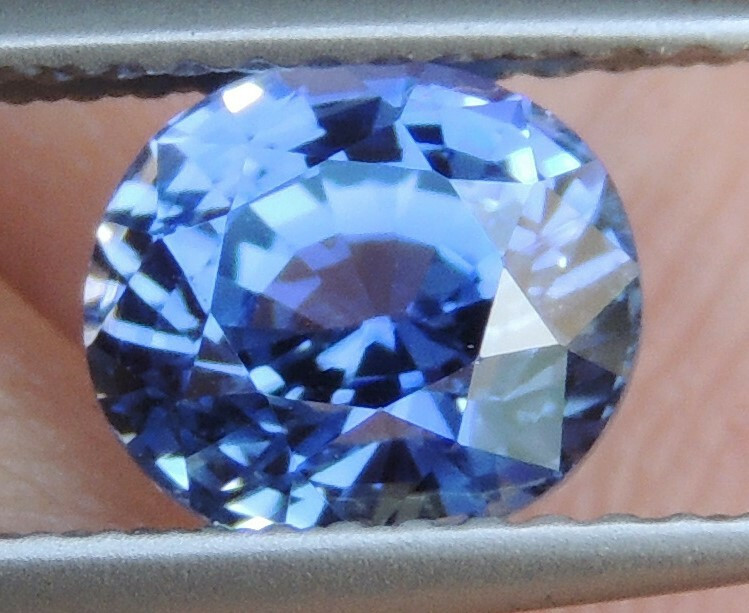 The single most important factor of valuing a sapphire stone is its color. Color isn’t as simple as it seems, within the color scale there are matters to consider including hue, shade, saturation and tone. 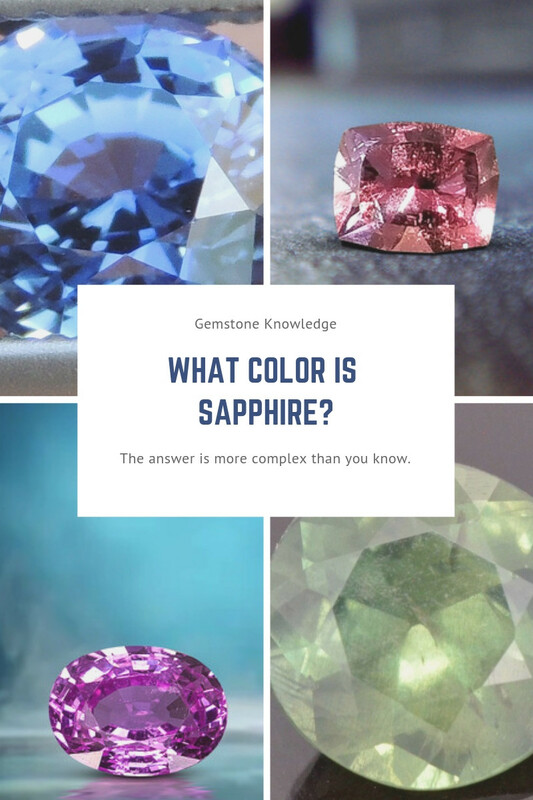 All factors are closely connected to the value of a sapphire gemstone. Let’s explore the exciting range of colorful sapphire gemstones, starting with the most traditional, the blue sapphire. First, let’s talk about the meaning of sapphires. There’s a reason why this classic stone is regaled by royalty and treasured worldwide. Sapphires have a sacred importance and significant meaning which heightens their allure. Sapphires are coined the stone of wisdom. Multiple religions and spiritual histories are enshrined in sapphires. From Hebrew lore to Greek mythology to buddhist enlightenment, sapphires are treasured as celestial gems that foster wisdom and divinity. Regal blue sapphires honor royalty and are engraved in ancient and medieval history. Sapphires are especially popular placed in rings for monarchs and notable figures both historic and modern. Now, let’s get back to the color of sapphire. As you’ve gathered by now, blue sapphires are traditional gemstones and highly desired jewels. That said, there is a scale of allure and excellence linked to the tone and saturation of the sapphire gemstone. Higher valued blue sapphires have a violet and velvety blue hue. The depth of these sapphires range from medium saturation to deep, dark blue. However, the darkness of the blue sapphire shouldn’t overpower its clarity; the stone should retain its intensity and brightness. As such, these blue sapphires obtain the highest price per-carat. 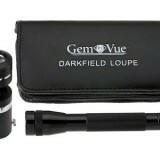 Conversely, blue sapphires that have a grayish tint or are too light or dark are less valuable stones. This doesn’t mean they’re discarded, rather they fall in a lower price point. Some sapphire stones are treated to enhance the color, saturation and clarity. The color of sapphire gemstones varies depending on its origin. 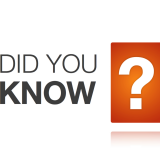 For instance, sapphires from Sri Lanka are bright and light, whereas Nigerian and Australian sapphire gemstones tend to be darker. Now that you know about blue sapphires, let’s explore the different colored sapphire stones available. Some sapphires have a salmon or sunset hue that exude beautiful yellow and pink tones. These sapphires are stunning and have a high value per-carat. Like blue sapphires, Padparadscha sapphires are vivid and intensely saturated. Their colors are romantic and bright, ranging from light pink to pinkish orange. 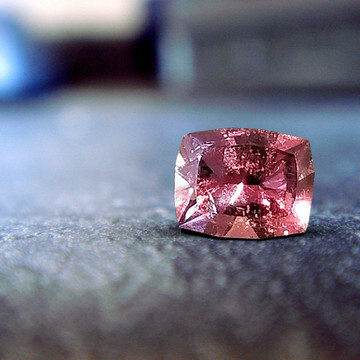 Pink sapphires are another intensely saturated gemstone with a bright and attractive color. 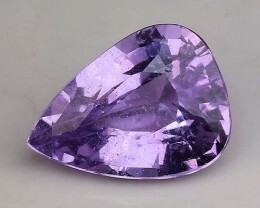 These stones vary from light pink to dark purple hues. 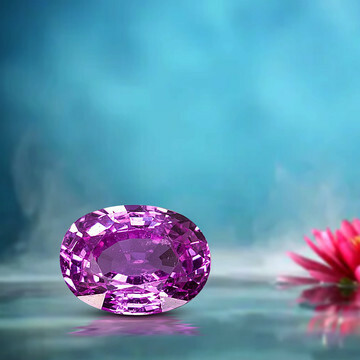 Like the previously mentioned sapphire gemstones, pink and purple sapphires are also highly saturated. 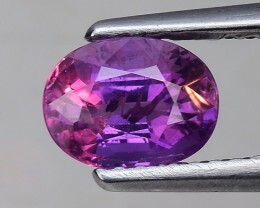 Purple sapphires are darker than pink sapphires and predominantly purple with pink undertones. Golden hued sapphires are bright and full of warmth, ranging from light, bright yellow to solid orange. In fact, orange sapphires have a strong, consistent orange color that appears almost reddish without being as red as a ruby. Yellow sapphires are bright and can be deeply saturated, however they can also have orange or green undertones. Orange and yellow sapphires tend to be less intense and vivid as blue, pink, purple and Padparadscha sapphires. 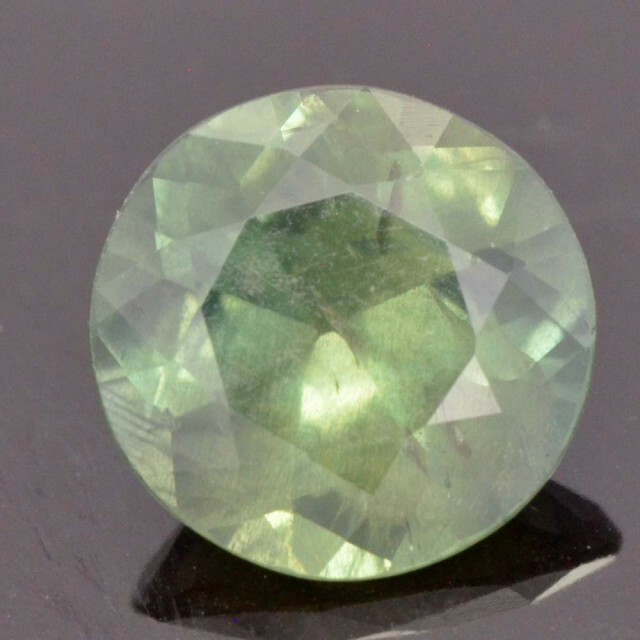 A very popular stone is the green sapphire, however it’s not necessarily highly valuable. Can you guess why? That’s right, it boils down to saturation. Green sapphires are weakly saturated and unlike other gemstones like vivid green emeralds, green sapphires have an olive hue. As you’ve noticed, sapphires come in a wide range of colors, however there are also variations of colorless or white sapphire gemstones. Colorless sapphires have a high value as they are pure corundum, a hard crystalline mineral giving them clarity and purity. However, some colorless sapphires have traces of faint colors including brown, blue and yellow, which lowers the value of a colorless sapphire gemstone. Jewelers popularly use colorless sapphire stones to accentuate other stones in jewelry pieces. 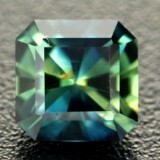 Lastly, chameleon sapphires are gemstones that change colors with different lighting. For instance, in broad daylight chameleon sapphires span the color range of blue to lavender or violet. 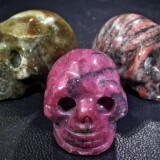 However, under lamplight or incandescent light the same stone shifts to appear with stronger purple or red tones. 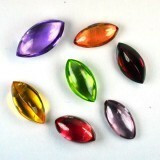 Chameleon stones are popular and are graded on their ability to shift colors. 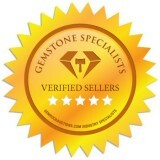 For instance, whether the gemstone’s change is strong, medium or weak dictates its value. 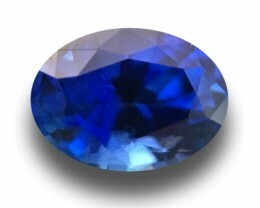 Sapphires naturally have silk-like, fibrous inclusions which reflect light. 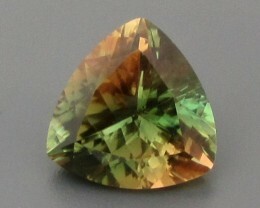 This results in a crisp star with twelve rays that span and glimmer across the face of the gemstone. This feature is called Asterism, and contrasts beautifully against the stone. However, sometimes the star is too light, making it less visible and ultimately—less valuable. What is the true color of Sapphire? Despite these myriad of colorful sapphire hues, blue is considered the true color of sapphire. Blue sapphires are timeless, popular and universally purchased. 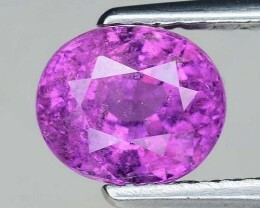 In fact, other colored sapphire stones are named by their associated color, i.e. yellow or green sapphire, whereas blue sapphires are simply known as sapphires. There you have it! After traversing the vivid color spectrum of the treasured sapphire gemstone, the true and sacred color of sapphire is unmistakable, beautiful blue.